Baltic Aviation Academy signed a Memorandum of Understanding with White Airways airline. According to the agreement, White Airways will be providing pilot assessment procedures for Baltic Aviation Academy graduates. Baltic Aviation Academy, understanding the needs and requests from pilots-to-be, continues to create possibilities for students to be evaluated by the airline professionals. With the assessment procedure, delivered by airline’s pilot-selection professionals, students will get evaluation on their flying proficiency skills and character suitability for the job. 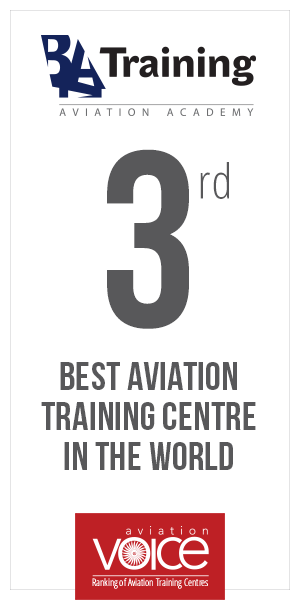 ‘Baltic Aviation Academy, as the aviation training centre, has a mission not only to provide high quality trainings, but also to do all in our hands to help students reach a pilots-to-hire level. The current agreement is the beginning for long term commitment to our pilots-to-be – such evaluations not only help students to learn what improvements should be done in order to succeed as a pilot, but also create a possibility to be noticed by the airline’, commented Egle Vaitkeviciute, the CEO at Baltic Aviation Academy. The pre-assessment procedure will be delivered by Baltic Aviation Academy – students will be appraised on their ATPL theory, flying proficiency, communication and other skills. Students with the highest evaluation score will be qualified to proceed to the assessment carried by the White Airways airline representatives. The first pilot assessment procedures are expected to be delivered late spring. ‘Baltic Aviation Academy trusts White Airways to provide a reliable pilot skills evaluation process, meanwhile through the high quality pilot trainings Baltic Aviation Academy creates us a needed tool to have a reserve of a ready-to-fly professionals’, commented Francisco Rodrigues, the Director of Flight Operations at White Airways. White Airways operate Airbus A310-300, A320, A319 CJ and Boeing B777 aircrafts. Company is a member of the OMNI Aviation Group, comprised of 11 companies, acting in the areas of commercial aviation, executive aviation, helicopter offshore operation, air ambulance and aviation support. This is already second Baltic Aviation Academy agreement with airlines for a pilot assessment. Just recently the identical agreement was signed with the Avion Express airline.